I’m still in baby mode as I continue to prepare for the birth of my first child. 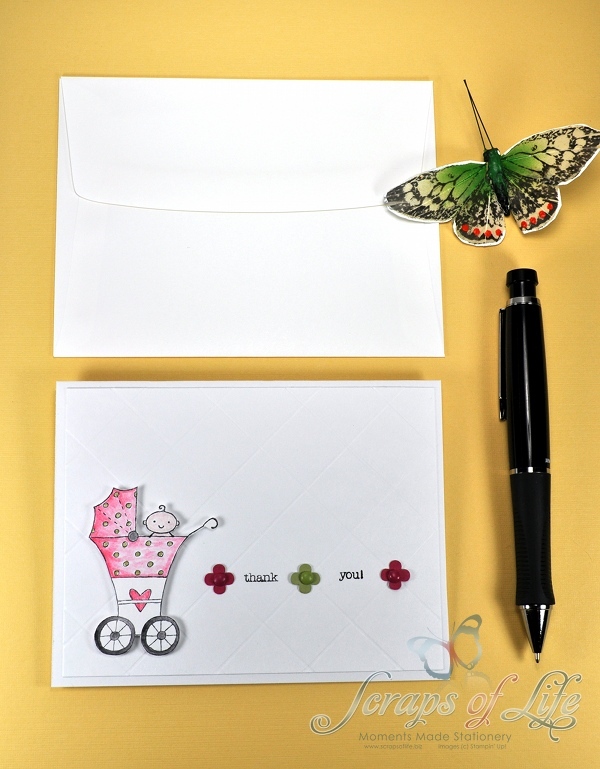 I’ve been doing lots of thinking about cute baby shower invitations and favors along with coming up with some cute ideas for little baby scrapbooks and stuff. If it has something to do with babies, I’ve given it some thought…LOL. 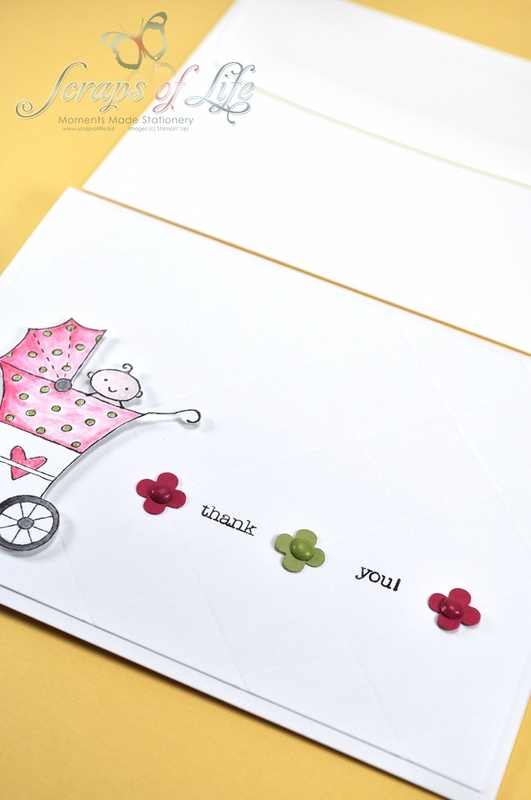 Last week I took the time to create some cute baby shower thank you cards. Hubby and I have already received some gifts for baby and I want to be prepared to send out thank yous to the senders. So I grabbed the uber awesome Baby Bundle stamp set and the fabulous Itty Bitty Shapes Punch Pack and whipped these together. I started out with this fun card. I’d had the idea in my head to create a “quilt” card and it actually turned out pretty close to how I had pictured it. The images from the Baby Bundle set made perfect little quilt squares. Shapes punched using the Itty Bitty Shapes Punch Pack, combined with brads, made great little accents to fill in some empty space. 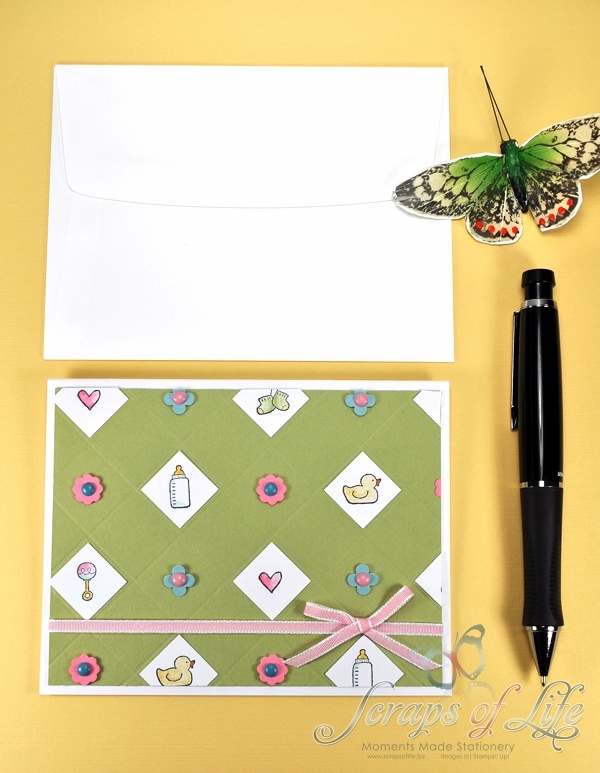 Finally, a touch of taffeta ribbon gives the card a nice finishing touch. It’s funny because as I continued to create, my card designs kept getting simpler and cleaner. This final card is the one that I like the most. And it is definitely not just for baby showers. These would be great for any occasion. 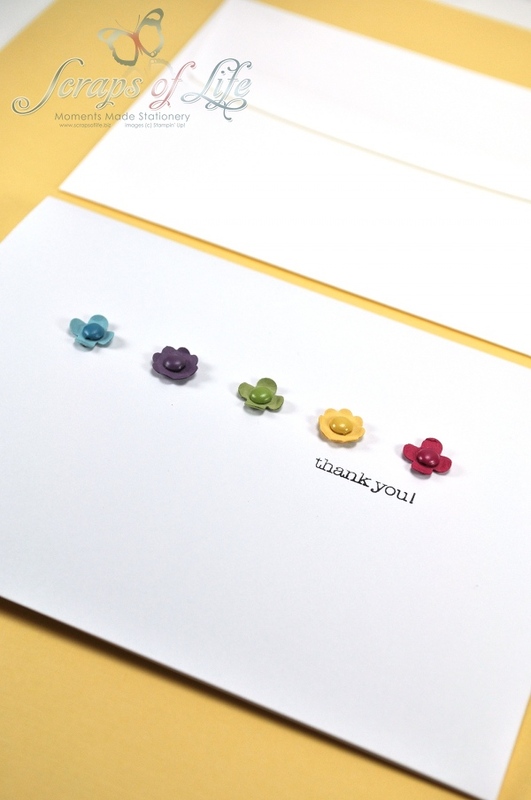 Just change up the colors of the flowers and the sentiment and you can have gorgeous cards for any occasion under the sun! You can find these cards in the Baby Shower section of My Etsy Shop! 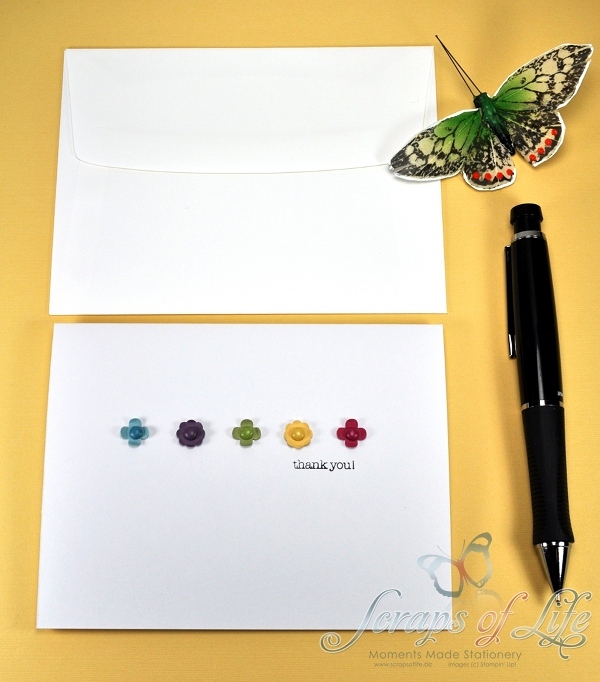 And as always, the project recipe for these cards is below for those of you who like to DIY. Next I hope to have some mini scrapbooks to share with you, unless another inspired idea takes over me! Until next time…Keep on crafting! You are way ahead of the game – but you are smart to get some of these cards done now!!! I can enjoy your baby invites and thank you’s but, for myself, I love the last thank You card as one I would use! Great and TFS!